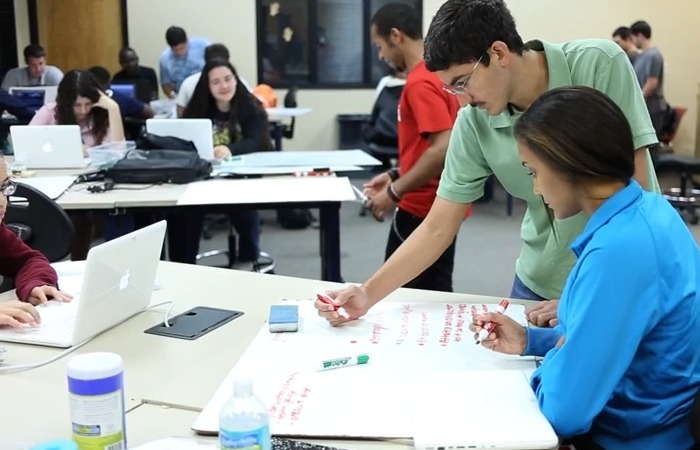 FIU has received a $1.45 million grant from the National Math and Science Initiative (NMSI) to replicate its successful UTeach program in Miami. UTeach is a secondary STEM (science, technology, engineering and math) teacher preparation initiative that is helping to produce qualified math and science teachers across the country. With the grant, FIU will create FIUTeach. The grant will subsidize core elements of the UTeach program, which include recruitment and retention incentives, a compact degree program, a strong focus on research-based strategies for teaching and learning math and science, intensive field teaching experience, and personal guidance from master teachers and faculty. Universities were selected to participate in the UTeach program through a competitive proposal process. FIU is one of five universities to receive the five-year grant, made possible by a generous contribution from the Howard Hughes Medical Institute. In addition to FIU, UTeach also awarded grants to Drexel University in Pennsylvania, Oklahoma State University, University of Alabama at Birmingham and University of Maryland, College Park. With the expansion of UTeach to these universities and five more in the fall of 2015, the program is expected to produce more than 9,000 new math and science teachers in the United States by 2020 – nearly 10 percent of the 100Kin10 national goal of producing 100,000 new STEM teachers by 2021. The UTeach program, first developed in 1997 at the University of Texas Austin, has been implemented at 35 universities across the country with a total enrollment of more than 6,000 students. UTeach recruits and prepares students studying mathematics, science, and computer science disciplines to enter careers in secondary education by enabling them to earn both a degree in their major and a teaching certification without adding time or expense to their four-year degree program. Since 2008, NMSI has actively worked with the UTeach Institute to expand the program to colleges and universities around the country.